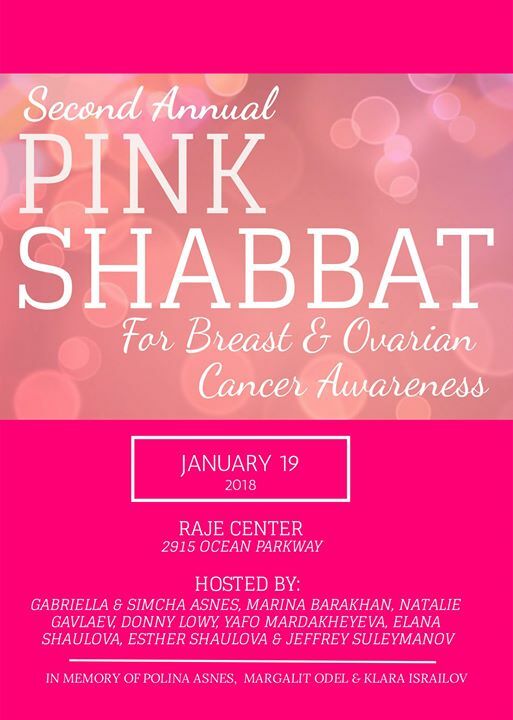 Join RAJE & Sharsheret on January 19th, 2018 for our second annual Pink Shabbat for Breast Cancer Awareness in memory of the beloved Polina Asnes z»l, Margalit Odel Gavlaev z»l & Klara Israilov z»l. For hosting & Shabbat day meal accommodations please email Gabi at GMAimon@RAJEny.com by 1/12/2018. Join us as we raise awareness about breast and ovarian cancer and their prevalence within the Jewish community. Learn about the increased risk of hereditary breast and ovarian cancer among Ashkenazi Jews, how to determine your risk and be proactive about your health, and how we can support community members facing difficult circumstances. Wear pink to show your support. Cornell Jewish Studies: Film Premiere "Reversing Oblivion"